Traditionally, every Indian girl is taught the art of cookery, which in my opinion, is a useful skill. 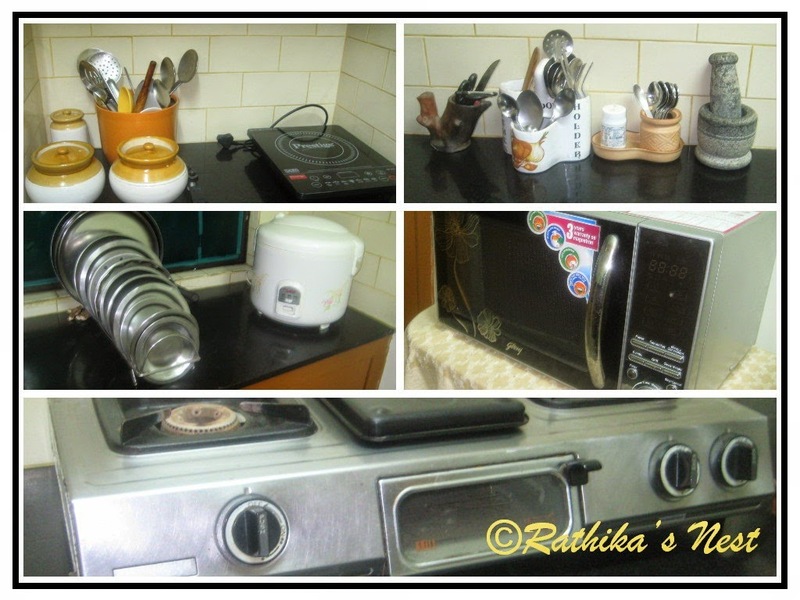 However, my tryst with kitchen happened when my parents had to travel urgently, leaving the three children with our cook’s younger sister, who as it turned out, had no acquaintance with the culinary art. Being the eldest, the responsibility of feeding the younger siblings fell on me. Even though I was only sixteen, out of sheer desperation, with the help of a considerate neighbor, I managed to make a few dishes that were palatable. Subsequently, I started experimenting in the kitchen on and off. Traditional cuisine from the South Indian states has lot in common. Though certain recipes are specific to one particular state or region, you may find the same recipes with some variations in other regions as well. The recipe gets modified with local ingredients, which infuses new dimension to the dish. Indian cuisine is an amalgamation of various regional cuisines. However the beauty of Indian cuisine lies with the subtly modified regional recipes finding their place in the traditional cuisine of other regions as well. So you will often find such unique recipes exist within families, handed down from one generation to the other! My motto is that "cooking is easy and so, anyone can cook"
Over years I have learnt and experimented with various vegetarian recipes. With more than two decades of experience, I wish to share the recipes I have learnt, especially the knowledge that was handed down to me from my grandmother on this platform. You may be familiar with some of the recipes detailed here, while others may be new. Please try the recipes and comment on them. It goes without saying that all vegetables, fruits and greens should be washed well before cutting. Similarly cereals and pulses should be rinsed with water a few times before cooking or using as raw ingredients.